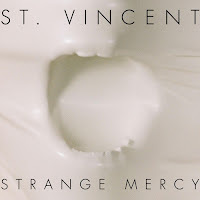 Gas Lantern Media | audio, video and words in review: St. Vincent - "Surgeon"
St. Vincent's new album Strange Mercy is probably my most anticipated of the year, and is high on the lists for many other music maniacs. The release of "Surgeon," a beautiful, even higher-concept, brilliantly complex track that is both haunting and instantly catchy seems to point to the vast potential of the coming album. This is a song that seduces just as it keeps you on edge. It is brilliant. But, don't take my word for it... And, please, don't tell LeVar Burton and the rest of the Reading Rainbow people that I borrowed their catchphrase. Now listen!